Reading and Writing Redhead: Back to School Teacher Week Linky - WHEN and a FREEBIE! 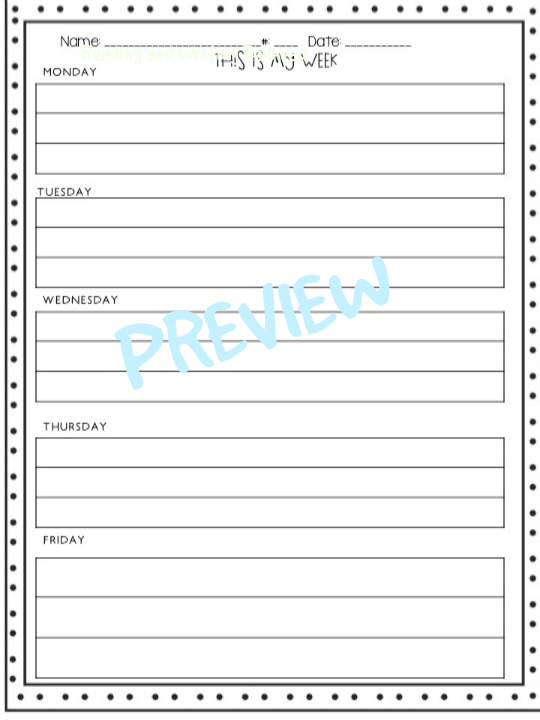 Back to School Teacher Week Linky - WHEN and a FREEBIE! 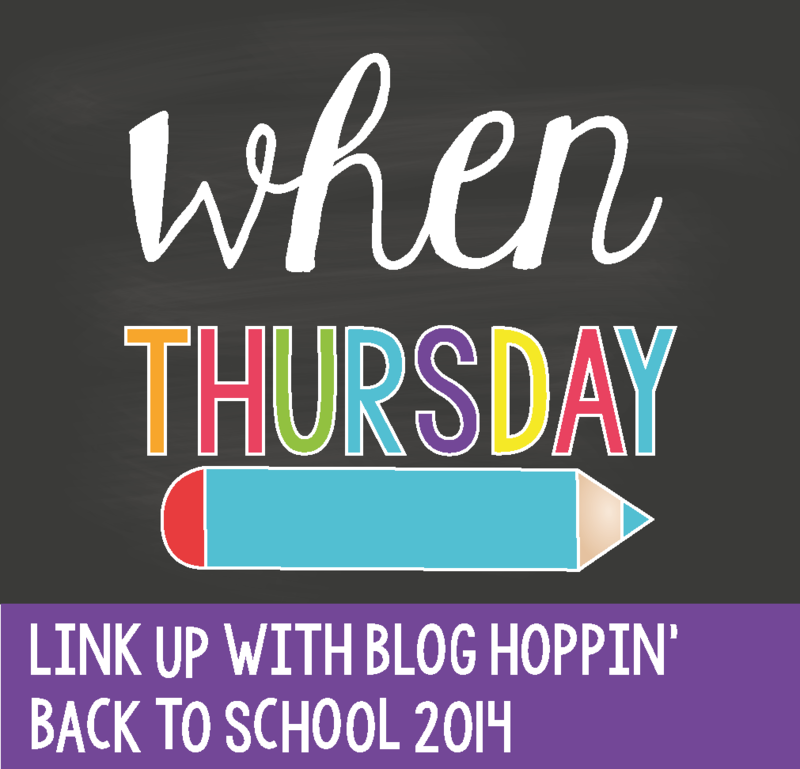 Well, I am late again but I am linking up with Blog Hoppin' for the super fun Back to School Teacher Week Linky! Today's theme is when. It scared me! 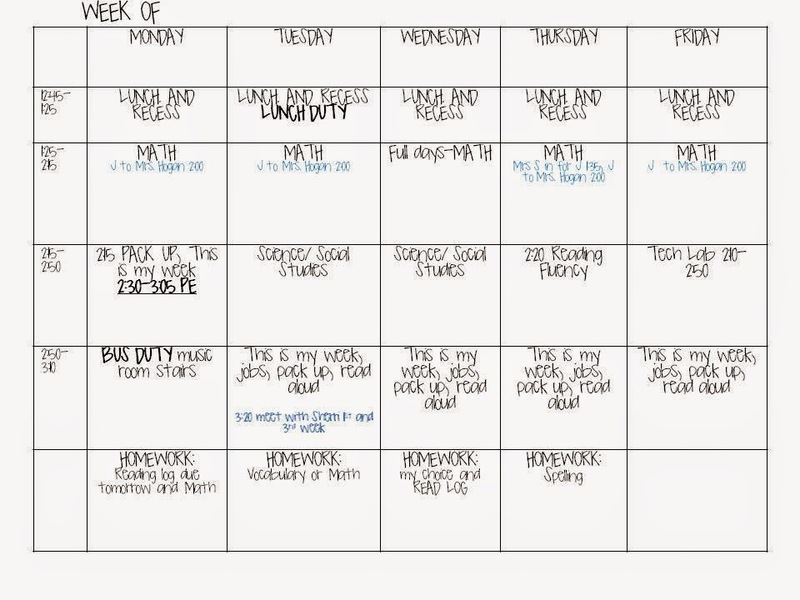 Everyone has these cute, organized little plan book jpegs to post - not me! I had my boring old plan book in power point with nothing cute on it ( I like simple, no clip art or distracting borders - plus I print my plans out to leave on my desk so I don't want to use a lot of colored or black ink). I printed them out and put them in protective sleeves with a ring to keep them together. I decided NOT to put them in my teacher binder because I don't bring that home every night, and didn't want to be forced to bring it home because my plans were in it. I really liked doing it this way. I would keep the next few weeks pages also printed out and on the ring but the older ones would go in my binder for reference in case I needed it. I have NO idea what my schedule will be like this year except I did find out I have my specials all at 9:00am this year. Yay for consistency! Our district is changing they way we provide services to special education students so there will be a lot of staff members coming in and out of our rooms all day and the same paras will be covering IEPs in several different rooms, so I don't know for example, if we can even have reading all at the same time. We have to find a way though, because we also do RTI and that is when some of our students get their Tier 2 and Tier 3 support. The special education teacher also has some students who get pulled out during the reading block. I always feel bad when the speech staff and other folks come to me and say "OK, I need to schedule Timmy. When can he see me?" and can only give them a few options. It may be worse this year. What kind of changes are you dealing with that may affect your schedule this year? I also wish we had more Science and Social Studies time. Because we have 1 hr 45 min of LA and 60 min of math every day (or the math can be 300 minutes spread out into different amounts of minutes each day), then 2 recesses (YAY), lunch, specials (another Yahoo!)... it leaves very little time. I heard of a school nearby that hired a science teacher just to teach science - science would be in the specials block, so that way Science would definitely get taught no matter what. Interesting idea! 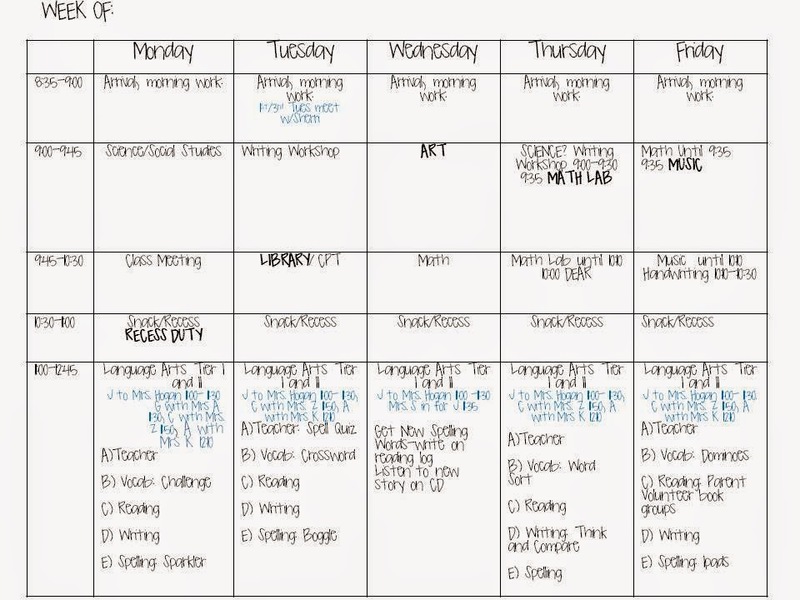 And if you are looking at this and wondering what This is my Week is, it is awesome! Go learn more about it here in the free TPT grades K-2 Back to School ebook (I'm on the last page) or here to my TPT store. You can get the download from either! Here is what it looks like. Clicking on it takes you to TPT for it. It is FREE by the way! Back to School Teacher Week Linky - WHO am I? Target Tip and New Freebie! Big Back to School Sale and a Freebie for you!